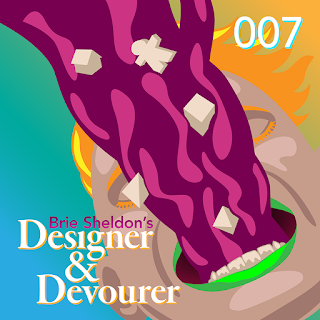 Designer & Devourer Episode 7 link here! Script Change has some changes! I talked about Keep the Lights On pay! I talked about projects that end! There’s also been tons of interviews, and more to come, plus some articles about design, projects, and games. I’m getting a new website soon at briebeau.com, which currently redirects to the Blogger site y’all know. The Google+ exodus has begun and in a couple months it’ll be no more! The last of these recordings didn’t properly upload to Google Play because I messed up my SoundCloud upload, but working on fixing that. I’m not great at tech stuff! This recording is mostly an update on what I’ve been doing, and some thoughts about love. Specifically, loving your work and doing it without burning yourself out, and what to do when all is not enough. Our recipe this week is what I call scratch cake, found here, even though it's a family recipe too! The music for this episode is by Yakov Golman, Reflection, and was found here.